With the economy in the gutter, we could all probably use a drink. 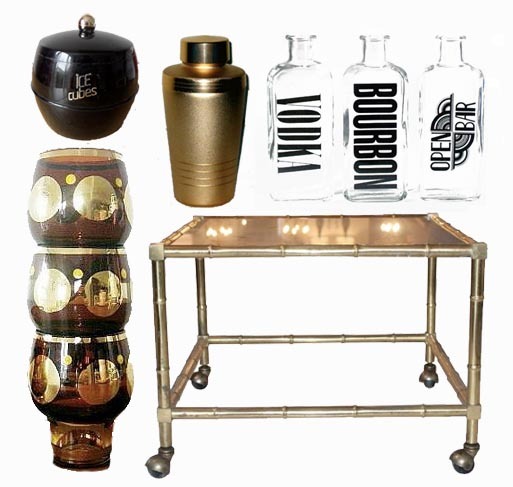 So sit back and fix yourself a cocktail in style with these retro bar cart picks. After all, there’s nowhere to go but up. 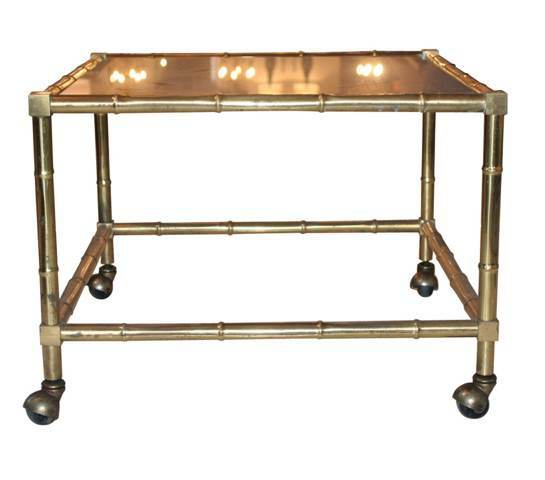 Can’t imagine how this lovely bar cart featured in our 1stdibs column is still available, but you’re in luck. Finally, a set of glasses that allow you to pound down shots and look classy doing it. From Vegasandrose on Etsy. 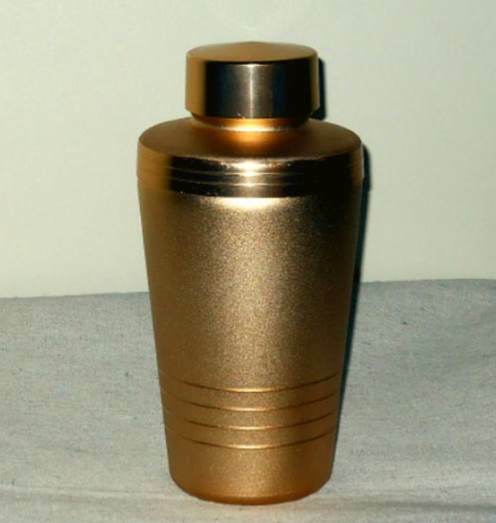 Sick of the generic looking silver metal cocktail shakers as of late? 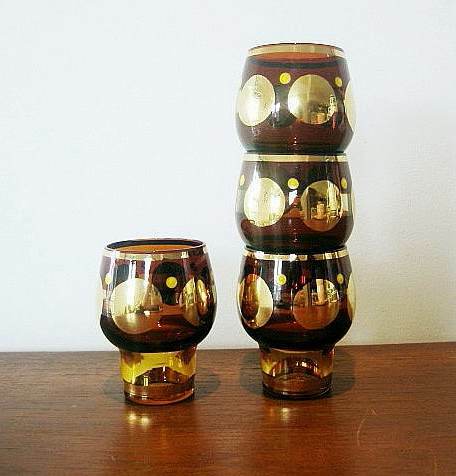 Go gold with a vintage piece, from robotretro on Etsy. Ice buckets are underrated. 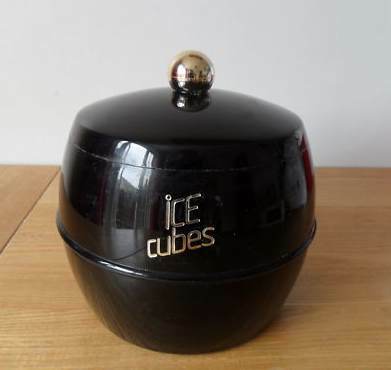 This supercool retro-futuristic ice bucket was found on eBay. 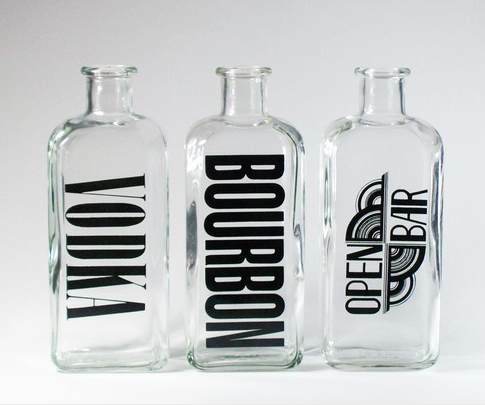 These glass bottles used in place of your original liquor bottles create a more polished look. Simply stuff the opening with a piece of cork, from PardonMyVintage.